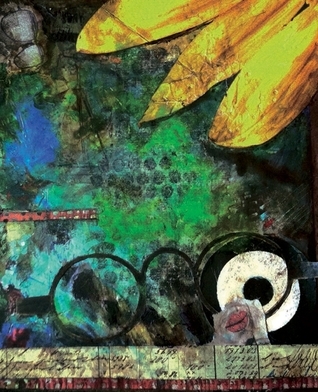 The New Arcana by John Amen and Daniel Y. Harris (Aug. 20, 2012) stretches the fabric of poetry with an experimental twisting of photos and art. Presented in five sections, this work takes on a theatrical style through its characters, dialog and often outrageous banter. It is a work of art that will challenge the reader to pay attention and think beyond conscripted poetry. John Amen is the author of three collections of poetry: Christening the Dancer (Uccelli Press, 2003), More of Me Disappears (Cross-Cultural Communications, 2005), At the Threshold of Alchemy (Presa, 2009), and THE NEW ARCANA (NYQ Books, 2012). His work has appeared in numerous journals nationally and internationally and been translated into Spanish, French, Hungarian, and Hebrew. In addition, he has released two folk/folk rock CDs: All I’ll Never Need (Cool Midget, 2004) and Ridiculous Empire (2008). He is also an artist, working primarily with acrylics on canvas. Amen travels widely giving readings, doing musical performances, and conducting workshops. He founded and continues to edit The Pedestal Magazine. Daniel Y. Harris is the author of Hyperlinks of Anxiety (Cervena Barva Press, 2012, forthcoming), THE NEW ARCANA (with John Amen, NYQ Books, 2012), Paul Celan and the Messiah’s Broken Levered Tongue (with Adam Shechter, Cervena Barva Press, 2010; picked by The Jewish Forward as one of the 5 most important Jewish poetry books of 2010) and Unio Mystica (Cross-Cultural Communications, 2009). He is a three-time Pushcart Prize nominee. Some of his poetry, experimental writing, art, and essays have been published in BlazeVOX, DENVER QUARTERLY, European Judaism, EXQUISITE CORPSE, The New York Quarterly, In Posse Review, The Pedestal Magazine, Poetry Magazine.comand Poetry Salzburg Review.